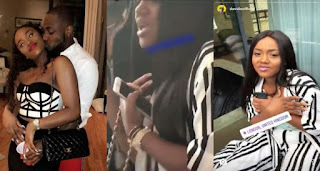 A now viral you-tube video captured Davido’s girlfriend, Chioma Avril Rowland, lashing out on him this afternoon in London. 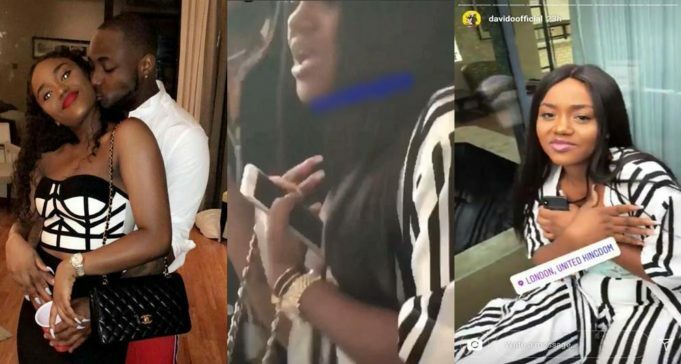 Though the details remain sketchy, it appeared that she was in no mood for the singer over an undisclosed issue, however, Davido was heard telling his friend to tell her that he is international. Wanting to salvage the situation, his unnamed friend decided to make the now viral video with the hope that the assurance bae would cheer up but she wasn’t having any of it as she was heard saying ” Leave me alone…”, walking away from him angrily. Meanwhile, fans of the couple predict that it was probably a small couple’s fight and they would be back together in no time.